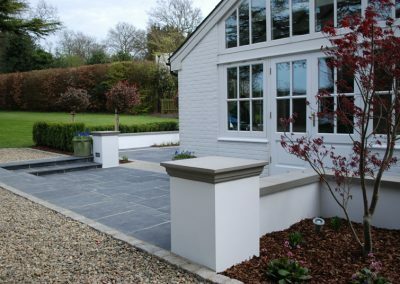 This beautifully restored large cottage had a modern feel on the inside with a charming rustic exterior. 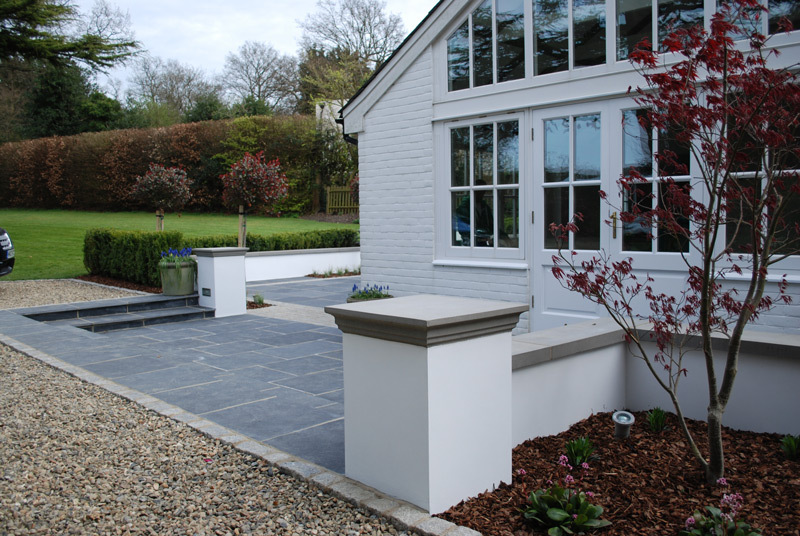 We suggested that a monotone palette of materials would work well with the painted exterior cottage walls. 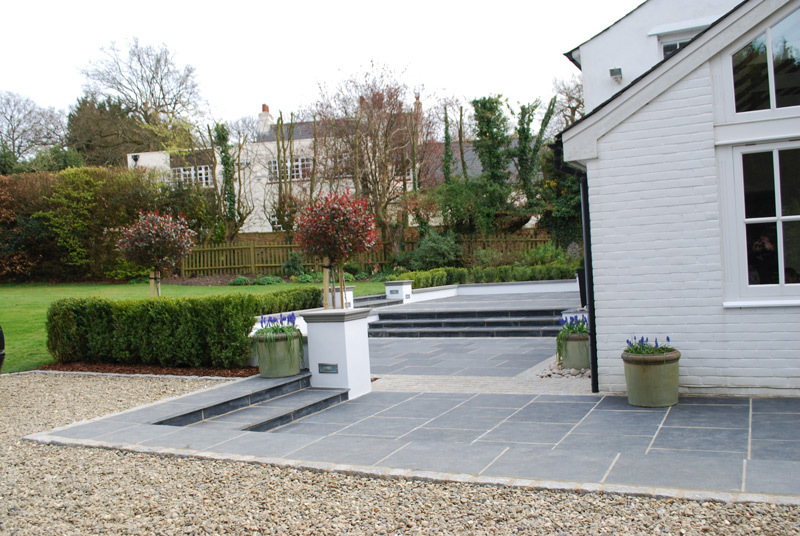 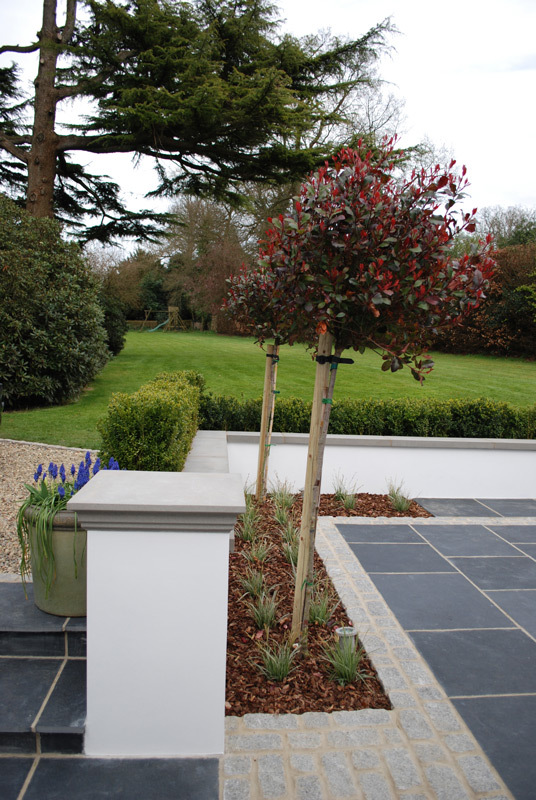 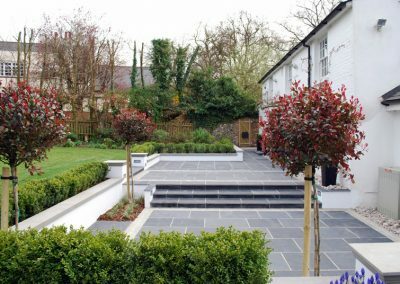 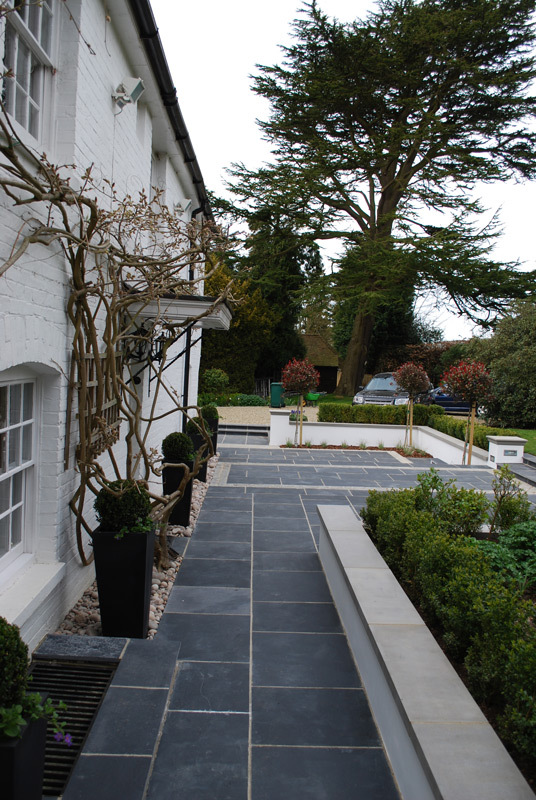 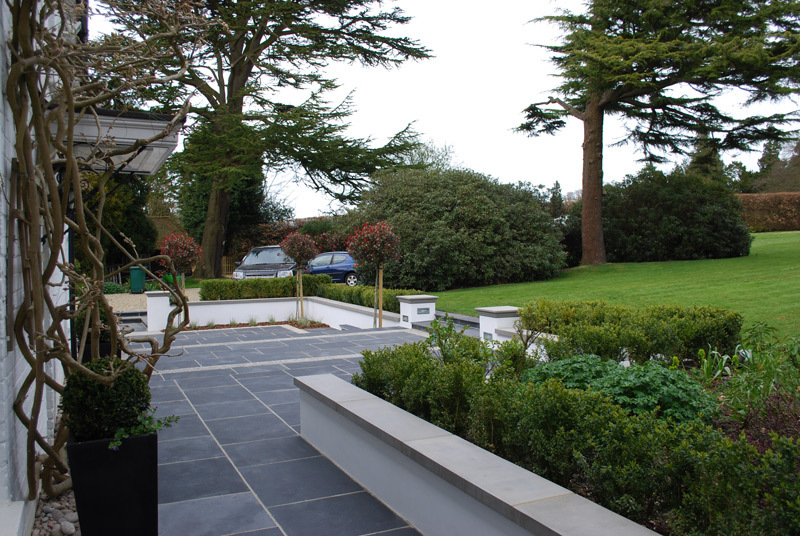 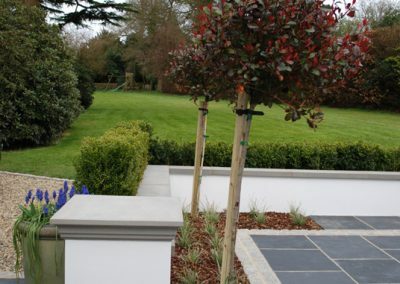 A multi level Black slate terrace was designed with matching steps. Granite setts were used to edge and divide certain spaces which helped to create a nice contrast against the slate. 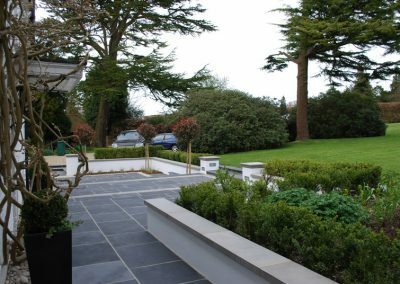 Rendered retaining walls with bespoke chunky Sandstone copings and pier caps were incorporated throughout. 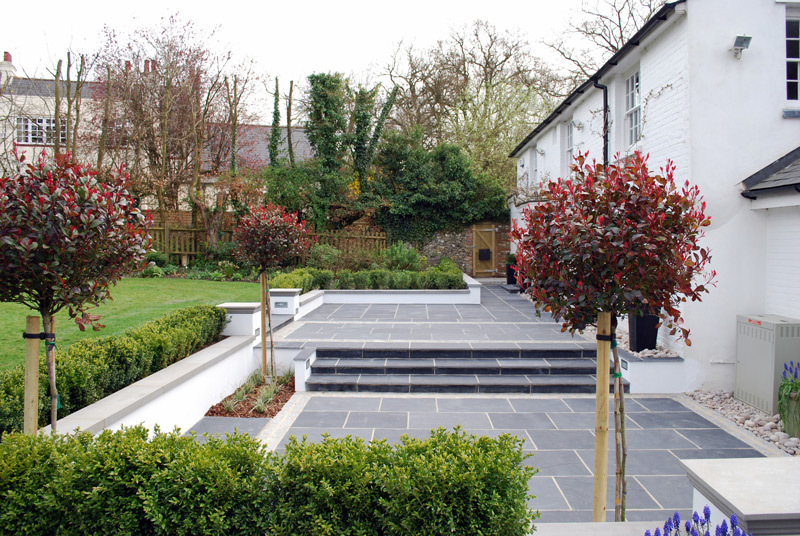 Recessed wall lights and flower bed spot lights illuminated the steps, terrace and planting. 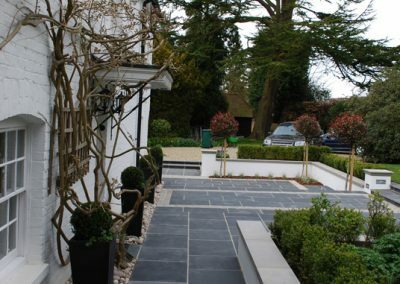 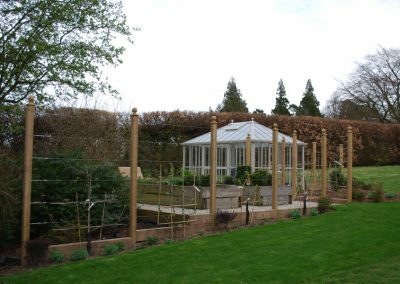 A new gravel driveway with cropped Granite sett edging was installed plus a vegetable garden was designed and implemented to help the clients with their wish of becoming for sustainable.